Summer is just around the corner and that means it’s time to get your water park pass! The outdoor water park at the Kingsport Aquatic Center will open its gates on Monday, May 14 at 10:30 a.m.
Purchase your pass for the summer season and get access to both the indoor facility and the outdoor water park. Passes grant admission to the indoor facility beginning May 1 and to the outdoor water park May 14, when the park opens. Swimmers can enjoy two waterslides, the Eastman Credit Union 900-foot lazy river, climbing structure and play area with water cannons, lily pad crossing and concessions stand. New this year, the Kingsport Aquatic Center will have cabanas available for rent. The Waterpark Pass entitles the user to admission to indoor and outdoor pools during the water park operational season (early May through September). 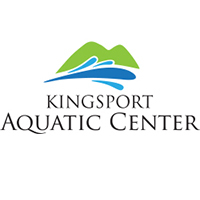 Monday, Tuesday, Thursday and Friday 10:30 a.m. – 7:30 p.m.
Wednesday, Saturday and Sunday 10:30 a.m. – 6:00 p.m.
For more information about the Kingsport Aquatic Center or to purchase a water park pass, please visit www.swimkingsport.com or call 423-343-9758.